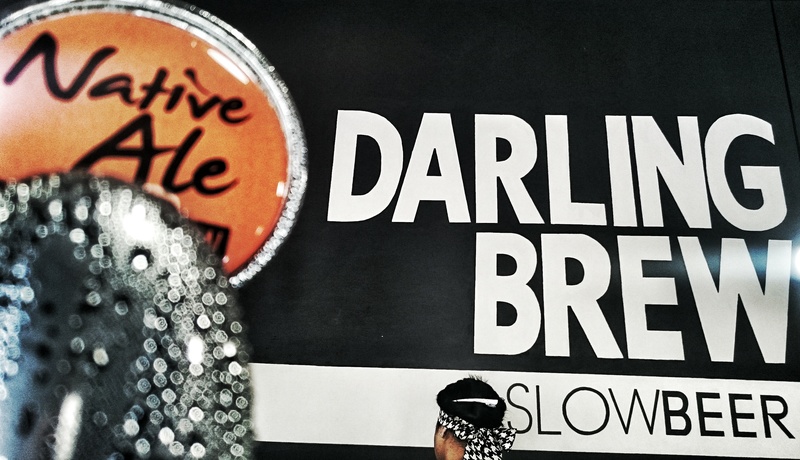 Slow it down with the Good Rebels of Darling. West Coast living & the best craft beer. 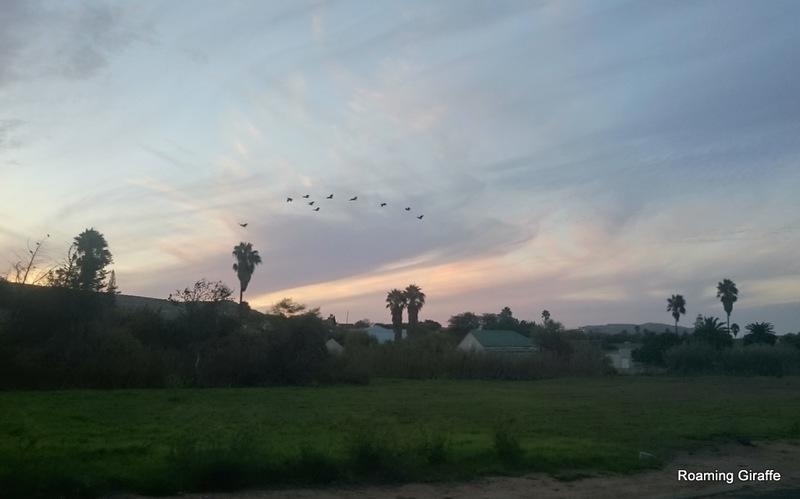 Darling is the name of a ridiculously pretty little town on the Cape West Coast, just 77 km from Cape Town travelling on the N7 and then onto the R304. Darling is also referred to as the “flower of the West Coast” after the prolific wildflower displays in early spring (September, October) The town is best known for these wild flowers and for our unique home grown funny man “Tannie Evita” who performs at Evita se Perron. The town is an eclectic mix of old, new and arty, but it is a community who are mostly working together and getting it right, creating a very pleasant place to live in, and offering numerous attractions to draw the visitors to the area. 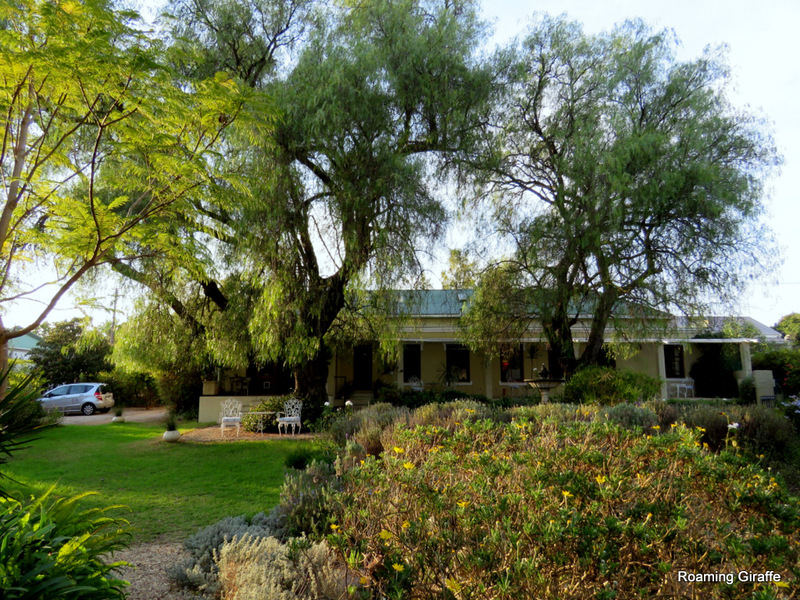 I stayed at Darling Lodge owned and run by the delightful Stephen, a Swiss national who has been in Darling for just three years but is part of the community and totally in love with the town. The lodge is an immaculate Victorian home with all the modern amenities you need. The gardens and pool are made for long lazy days, drinks outside, and if you are lucky, you might be there when the locals arrive for drinks, snacks and an open air movie under the trees. Stephen has become something of a Darling expert, ask him about the birding, hikes and MTB Trails in the area. He seems to be able to make anything happen effortlessly. Kit and Rene Haslam of Bistro 7 make dining out feel like having dinner at a friend’s home where the host just happens to be an outstanding cook. All dishes are made from fresh, seasonal products and sourced locally wherever possible. 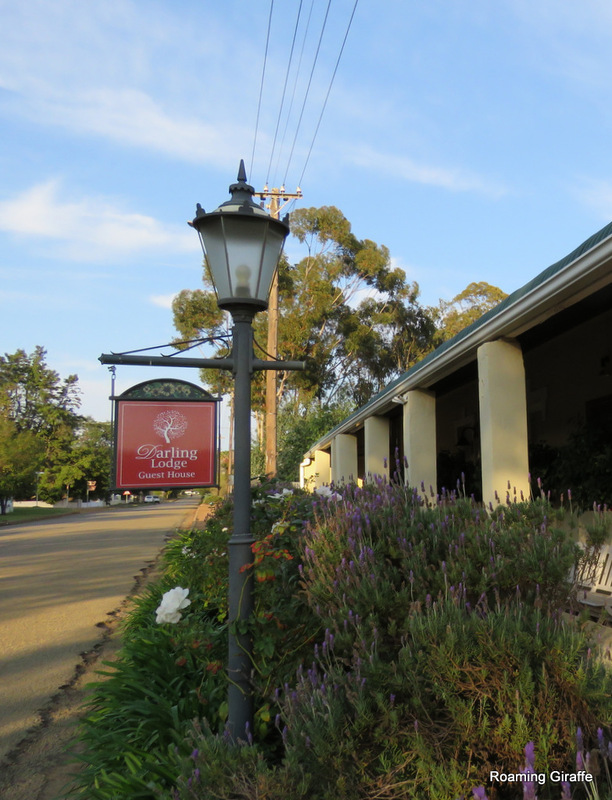 It is child and pet friendly and a delightful spot for lunch or dinner where food is savoured slowly. When you go to Bistro 7, do look out for Shiva, the Golden Labrador of Darling. Shiva lives at the Ormonde wine estate but he belongs to everyone in Darling. He does his rounds daily, visiting many establishments for titbits or a head scratch and he always pops into the local vet to say hi to the staff who cared for him when he had biliary. 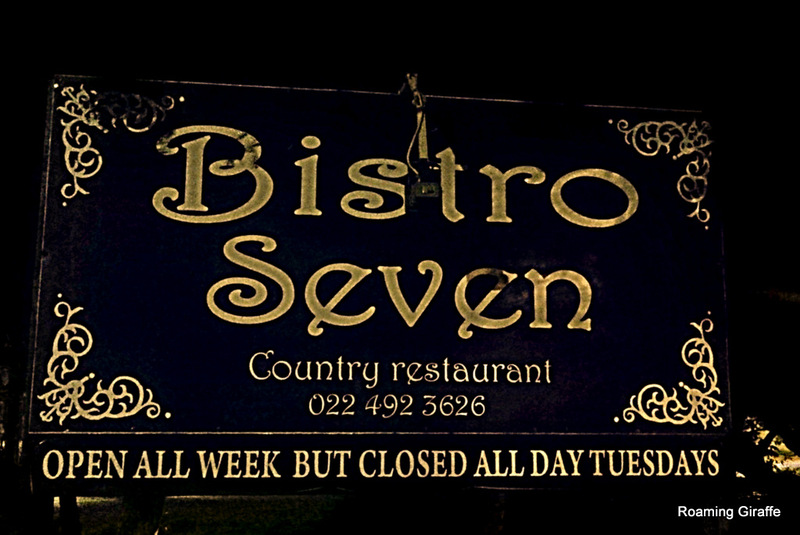 His last stop every night is at Bistro 7 where he waits patiently for his Eisbein bone before heading home for the night. Described as ” the funniest treasure hunt through an historic village ever!” The Darling Mystery Trail is a great way for the whole family to explore and learn about Darling. The cost is a mere R25 and includes entry into the museum. Walk it, ride it, solve riddles, and hunt for geo- caches if you like. Use your GPS, your phone or your just brain, you will have fun, find a treasure and stand a chance of winning a Darling weekend valued at R2000. So hopefully now you have a feel for Darling, it’s sense of fun, the unhurried country pace and the varied attractions on offer. 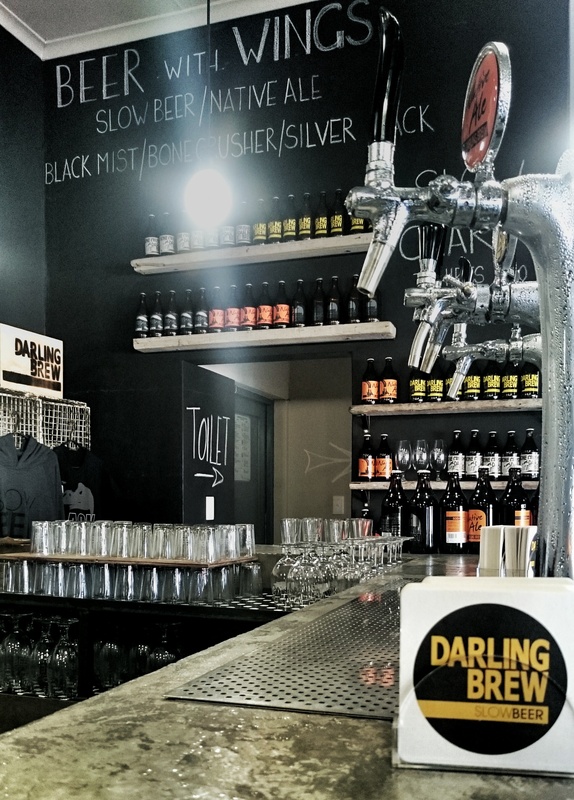 Being in Darling is thirsty work so I am delighted to introduce you to Darling Brew. 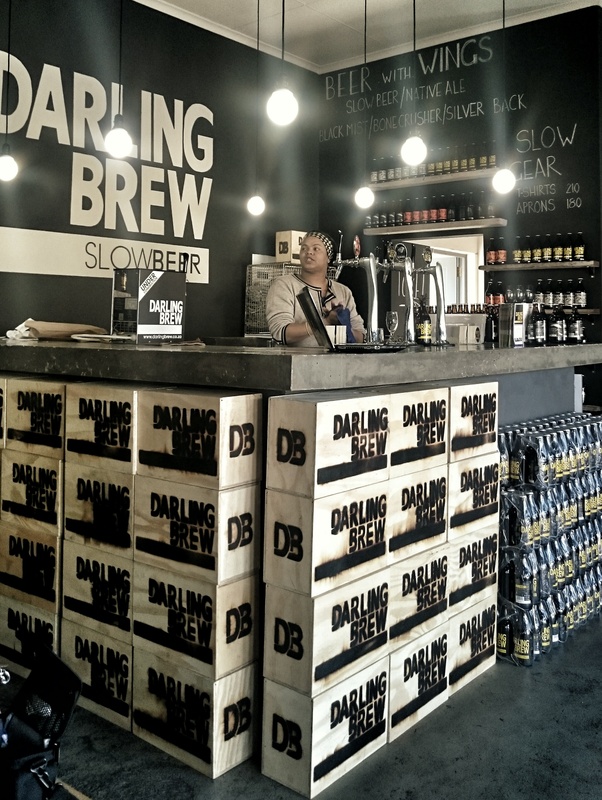 Philippa and Kevin Wood of Darling Brew are experienced beer drinkers, having sampled many many brews during their adventures through Botswana, Mozambique, Kenya, Rwanda, Zimbabwe and Zambia. They believe that YOU ARE WHAT YOU DRINK! In this hectic lifestyle we lead SLOW living has become something of a luxury, as time is the one thing we never seem to have enough of. 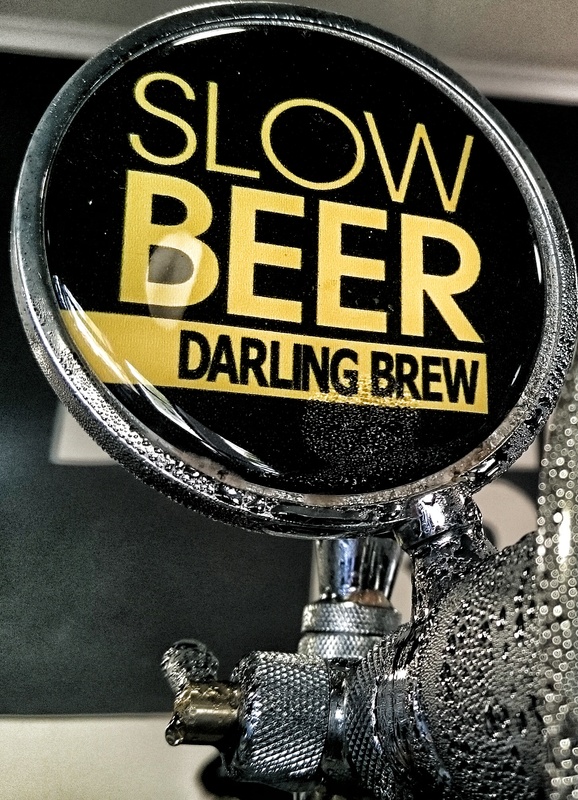 Darling Brew believe that slowing down is so important that it is central to everything they do and why their slogan is Slow Beer. Slow for the fermentation process, and the accompanying lifestyle. They presently have three core beers. A Pale Ale, an Indian Pale Ale and a Light Lager. 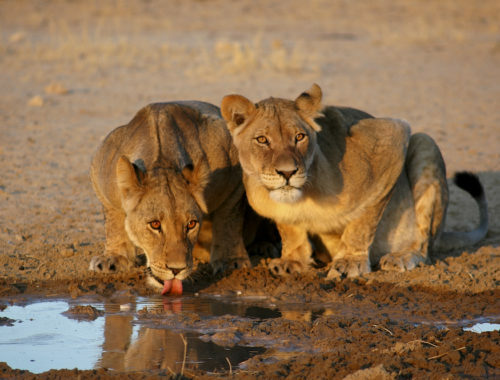 Each beer has been carefully crafted and named after endangered or misunderstood South African wildlife. Who knew beer drinking was an educational, conservation experience. Order a Slow Beer inspired by the Geometric Tortoise, a Black Mist if the Verreaux Eagle interests you, a Silver Back to cheer for the Honey Badger, a Native Ale to toast the Roan Antelope or a Bone Crusher if you identify with the Spotted Hyena. One thing they are not doing slowly is growing. New venue opening on December 1st 2015. 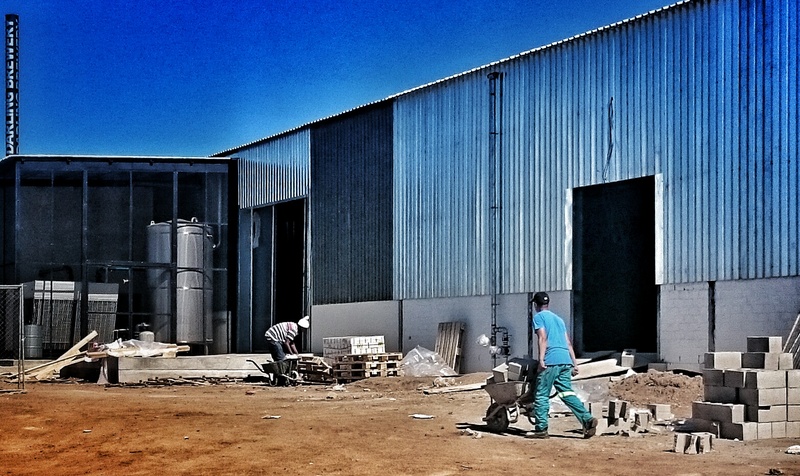 Exciting times are ahead as the new home of Darling Brew takes shape. In accordance with the ethos of conservation and the protection of the biodiversity of Darling, the location has been thoughtfully chosen in the industrial area.It is encouraging to know as far as possible repurposed materials have been used, and that the beer bottles are used up to nine times before being recycled. Walking around the building site it is already possible to visualise how Darling Brew are going to bring the brewing of beer and the current taproom experience of beer tasting and light meals under one roof. A large parking area will provide secure, dedicated parking for all vehicles, including tour busses, Quantums and other touring vehicles. A children’s play area and a garden have been specially designed for families and outdoor fans. 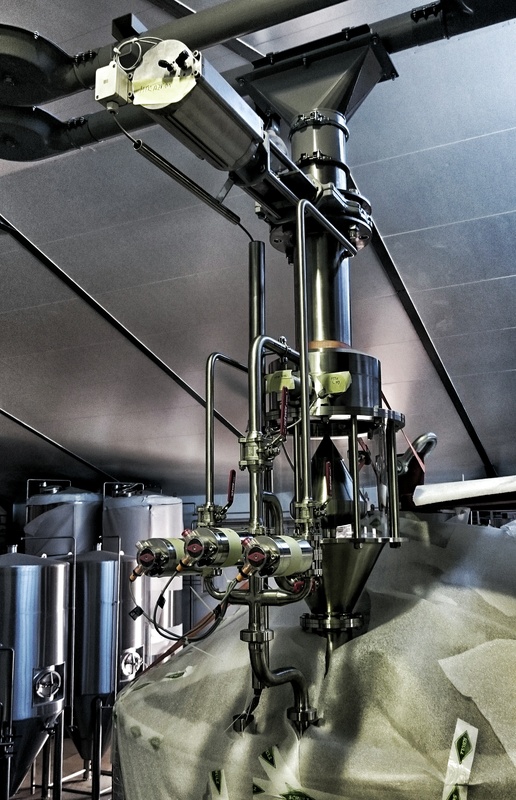 A tasting room and bar on the mezzanine floor will overlook the working brewery. A downstairs tasting area is wheelchair friendly. The dining menu will offer a selection of inspired light meals that enhance the unique flavours found in the artisan beers. All produce used is locally sourced, free range and organic. A Creative Centre is planned, and could have the potential for opportunities for local crafters. Inside the new building all kinds of impressive shiny vats and complicated machinery are ready to be tested or wrapped up waiting to be put to work. 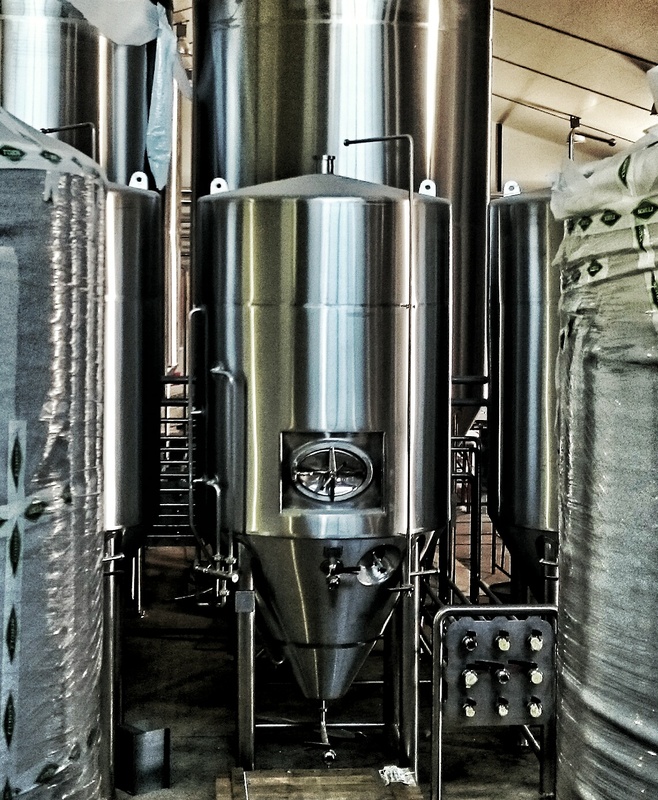 A three vessel system will facilitate increased capacity and uninterrupted brewing 8 times a day, producing 3000 litres of delicious Darling beer at a time. 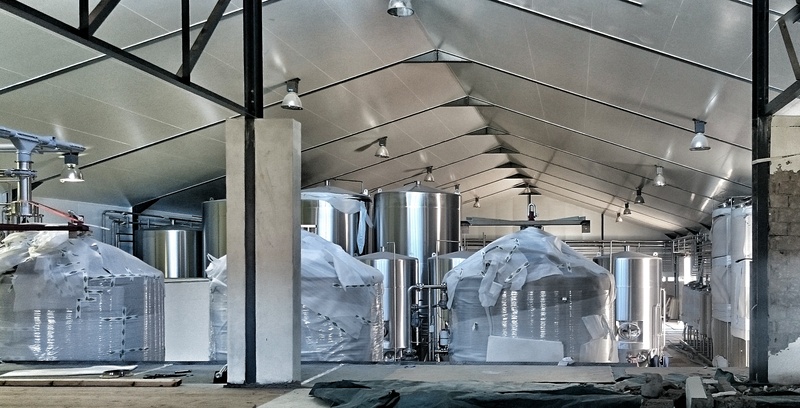 It is here where the new beers will be lovingly developed. Watch this space as Darling Brew plan to release two new beers every quarter and more unique pairings to complete the taste experiences. I asked Kevin and Phillipa what they are most excited about regarding this new venture. I love their answer. Significantly growing the ability of Darling Brew to create more beer and more exacting and consistent standards.This means that everyone that wants a Darling Brew beer can have one and together with the wildflowers, Evita se perron, the wine, the toffees, the art and people, be the export products that makes Darling so unique. Thanks to WestCoastWaySA for hosting me in this awesome little town. Want more information regarding beer pairings and other details to enhance the taste experience? Take a look here for an in depth look at the infographic shown below.